This tent is equally at home exploring the great outdoors as well as pitching up for the weekend to watch the bands at a festival. 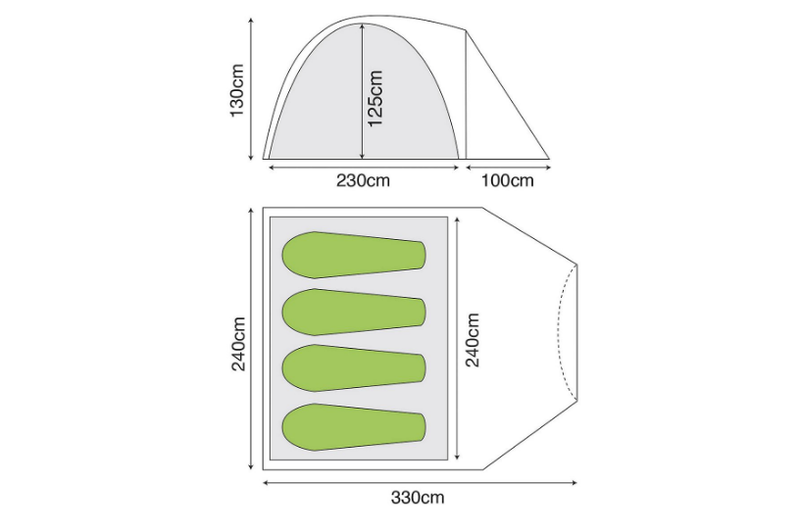 The tent weighs less than 5kgs, and can be pitched and disassembled in minutes. So if you and your gang are trekking around, this tent could be the one for you. As it is two skinned it has an extra layer of protection against the weather. Buy today, get your tribe together, and go and explore. Fabric: Outer: 190T Polyester with PU Coating. Sewn in 120gm2 Polyethylene groundsheet. Easy to pitch with easy access door. Porch groundsheet attached to bedroom.